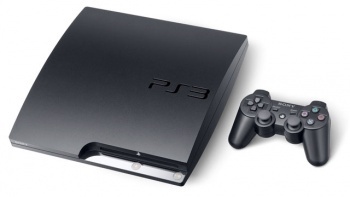 A U.S. District Court has awarded Sony a temporary restraining order against PlayStation 3 hacker George Hotz. The case against George Hotz, AKA Geohot, the man who posted the PlayStation 3 root key online earlier this month, seemed to sputter before it even got started when the judge in the case expressed concern over whether it was appropriate to try the case in California, since Hotz lives in New Jersey and committed his alleged crime in that state. "Serious questions have been raised here today," Judge Susan Illston said at the time. Those questions appear to be answered, at least for the moment. In a ruling made yesterday, the Judge declared that her court "may exercise specific jurisdiction over Hotz because he purposefully directed his activities at the forum state." She also noted, however, that Hotz's attorney had previously stated his intention to file a motion to dismiss the case for lack of personal jurisdiction and said that he may "present his jurisdictional challenges on a fuller factual record." With jurisdiction established, the Judge granted Sony its temporary restraining order against Hotz. "After consideration of the record and the arguments of counsel, the Court finds that a temporary restraining order is warranted," Illston wrote. "Plaintiff has submitted substantial evidence showing that defendant George Hotz has violated the Digital Millennium Copyright Act. Plaintiff has also submitted evidence demonstrating that plaintiff is likely to suffer irreparable harm in the absence of relief, and that the balance of hardships favors plaintiff." The restraining order prevents Hotz from developing, offering or linking to any PlayStation 3 circumvention technology or related material, or "assisting, facilitating or encouraging others" to do the same. The Court also ordered Hotz not to destroy or alter any records or files related to the case, and that he "retrieve any circumvention devices or any information relating thereto which Hotz has previously delivered or communicated to the Defendants or third parties." That last bit seems to me like it might be a little tricky. Finally, Hotz was given ten business days to "deliver for impoundment any computers, hard drives, CD-ROMs, DVDs, USB stick, and any other storage devices on which any circumvention devices are stored in Defendant Hotz's possession, custody or control." The judge also ordered both sides to settle on a briefing schedule and hearing date on Sony's motion for a preliminary injunction against Hotz and Hotz's motion to dismiss for lack of personal jurisdiction by no later than February 1. Judge Illston's ruling and the temporary restraining order are both available in PDF format from PSX-Scene.